For those who saw this past Sunday night’s episode of HBO’s Game of Thrones, you know it opened on what can only be called… a fart joke. Of course said fart joke was followed by some pretty strong direwolf flavored violence, but still, a humorous way to start a show that doesn’t really make you think of slapstick humor. 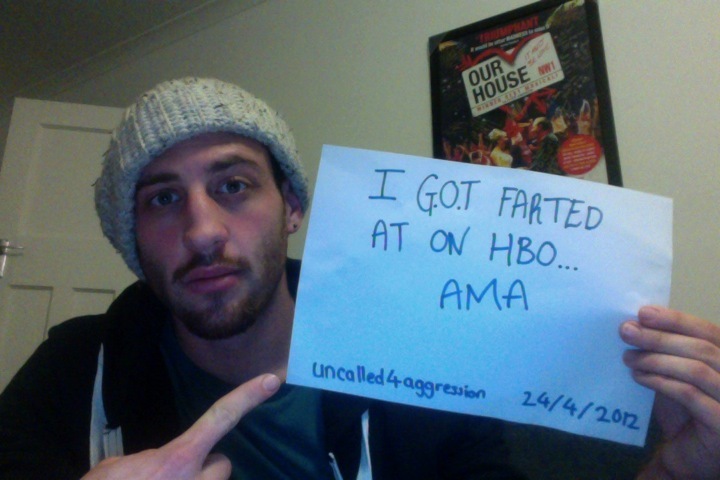 The Lannister guard who was farted on (and I cannot believe how many times I’ve had to type that word…) was named Sam Mackay and he participated in a great edition of the Reddit Ask Me Anything under the name uncalled4aggression. Warming Glow links to the choicest of the questions and answers, all of which I highly recommend perusing. My favorites from the entire AMA? Q. Are you afraid of being type-casted as the “fart guy”? A. To be honest I’m just waiting for a sequel to “Thunderpants” I’m pretty sure there’s heavy demand for it. Q. Since you were on set and all, what sort of baby gift did you get for Melisandre and that thing that crawled out of her womb? Did all the knights pitch in for a diaper genie or something? Q. What is Peter Dinklage like? This dude is funny and really personable. It’s too bad his time on @Game of Thrones has come to such an end. Quick — give him more roles where someone will fart on him!! This entry was posted in TV, Web Funnies and tagged Game of Thrones, HBO, Reddit Ask me Anything, Sam Mackay. Bookmark the permalink.